Many people today communicate on the forums, chats, social networks and other services, where several people can ask each other questions and receive answers. However, not always possible to quickly get the answer to your question. Sometimes you have to break through the flood Mountain. 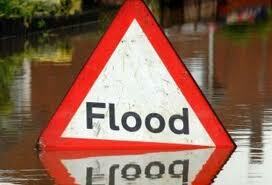 For more information about the flood we will cover in this article. Flood - superfluous information is, which does not carry any benefit. Under the flood meant Posts, which are not related to the subject, and only taking her away from the main issue. for example, if a page with a discussion of major overhaul of automobile engines somebody starts to describe the sound system of the car - it's flooding. wipe. Creating a large number of empty topics on the forums. A large number of flood makes reading forums lengthy and pointless, tk. user spends a lot more time, what could, to search for an answer to your question. clear, the user does not want to stay long in the forum, which threads are filled with a variety of flood. Therefore, respecting administration of the forum is taking all possible measures to deal with flood and flooding (users, that distribute flood). An important role is played in this war moderators.